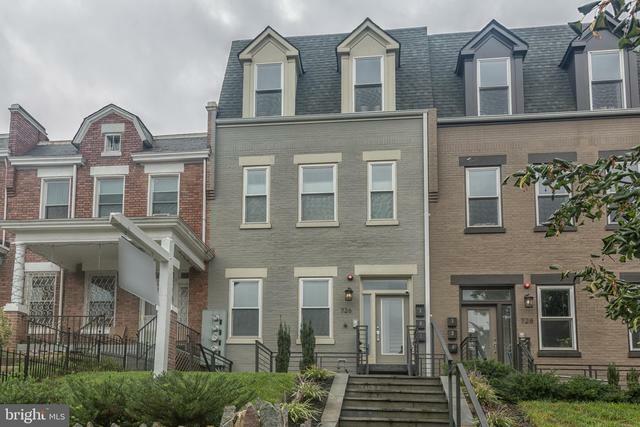 I would like more information about 726 Girard Street Northwest, Unit 1. Fantastic 4 BR/4FB condo w/DC row house feel in Columbia Heights. Open FP w/contemporary kitchen, marble topped island, gorgeous tiles, stainless steel appliances. Spacious master bed &bath featuring large shower, dual vanities. Wet bar, home office. Multipurpose rec room &additional ensuite master lower level. Hardwoods throughout w/tons of storage space.Washer/Dryer. Outside deck, Parking. Directions: Girard is two ways between Sherman and Georgia Ave, just a quick walk from U-Street Metro and the new WHOLE FOODS.